A friend from the USA paid a visit over the past 10 days, great to see a good friend, do some sightseeing and take a break from the politics of Thailand. His visit was a reminder of why so many people fall in love with Thailand- the sights, sounds, foods and smiles. 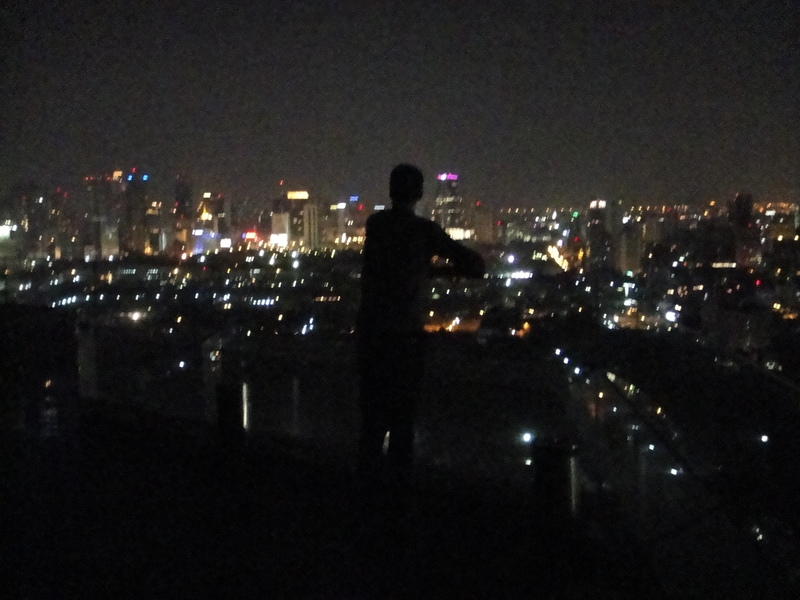 You can be a resident and tourist at the same time, always impressed with Bangkok and Thailand. It is a great experience to walk around with someone that hasn’t visited Thailand before. The first few days can be overwhelming with the heat, activity, street food, monks, cab/cars/buses/tuk tuk/motorbikes all driving on the “other” side of the road. Add visits to Wats, temples and some dining on street food and nightly entertainment and you have a kaleidoscope that can overwhelm all senses. 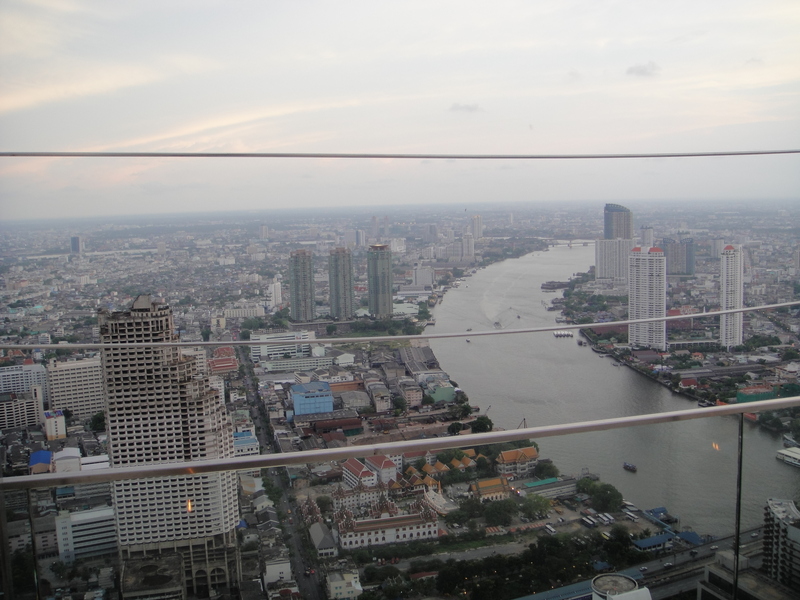 We were able to see the sights and sounds relatively easily in spite of all that is going on with the government and red shirts in Bangkok. Streets remain blocked, the mass transit system was operating under limited hours, police helicopters were flying and there was a major grenade attack. Amazingly, Thai people kept up most of their routines and hardly seemed troubled unless they found themselves in the middle of the protests. This was shocking to my friend and me, of course we have never seen anything like this in the USA and don’t know how people in America would handle this kind of upheaval. 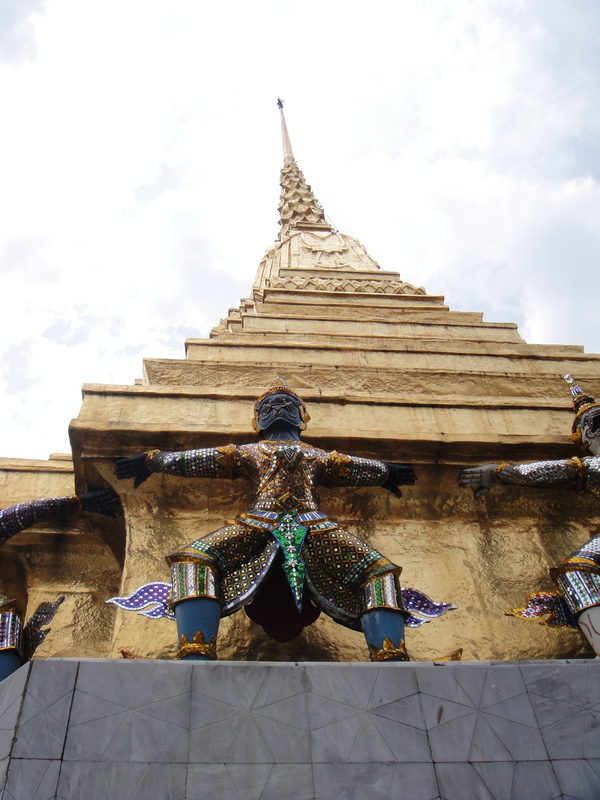 This entry was posted in Bangkok, Culture, Landmark, Sightseeing, Thailand and tagged Farang, Tourist. Bookmark the permalink.